View from bottom of Circle towards the west. Everyone was talking about how dry it was and hoping for rain, but the water season was nearly over and finished at about 1/3 of normal. 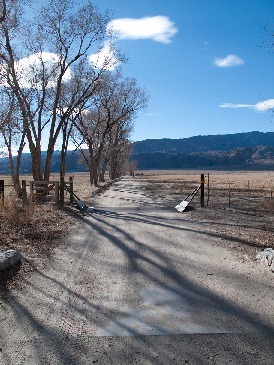 Denis Clark, “Entrance road,” Deep Springs Archive, accessed April 22, 2019, http://archive.deepsprings.edu/items/show/1323.